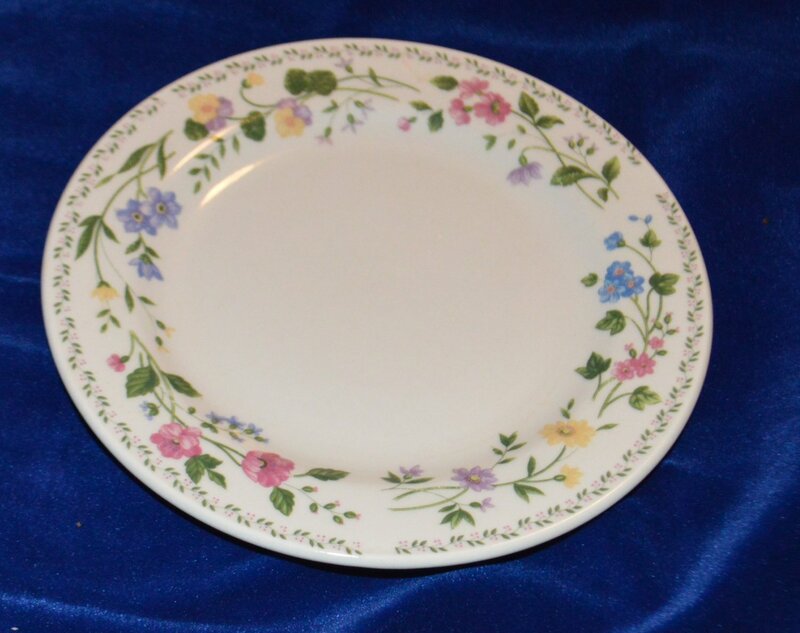 CFarberware Stoneware English Garden 225 signed Salad Plate Dish 1993 Farberware Stoneware English Garden 225 signed Salad Dessert Plate Dish 1993 Mint condition - Salad or Dessert Plate DishThe English Garden assorted Flowers Pink Purple Yellow Blue wrapped around plateThen another row of dainty flowers - signs of Spring!7 1/2" Diameter Item Checklist Description: above Size: above Condition: Mint Scratches: no Rubbed paint: na Chips: no Glazing: na Material: Stoneware Notes: English Garden Storage: RP1 This is in my possession ready to ship. Free Shipping with confirmationwithin Continental US. Pay with PayPal or Credit Card PLEASE review all pictures and read item description and ask any questions you may have before purchase.I work hard to honestly describe everything accurately and try and display multiple photos to help describe an item.Many items come from product, Consignees and other sources where some information is limited and items are actually pre-owned. Although I try to do a informative description and state the condition of an item I may miss something, just ask about information I may have missed. Please message me with any concerns I work hard to please my customers Remember to leave feedback FREE! Sellers: Add a FREE map to your listings. FREE!Powered by eCRATER . List your items fast and easy and manage your active items.